In the winding story to find the self, the path we hang our hooks on seldom reflects a catch from first cast. Practice, patience, perseverance and u -turns quite often come before the gathering. The bounty a chef’s career. For some cooking, serves as a utility, a task to feed the belly, a job to pay the bills, while for others, cooking represents a way of life, never a means to an end, rather, the start to a beginning, a conversation, a meal, an experience, an exchange. Meet Chef Logan of Homer restaurant on Beacon Hill, who found his way into kitchens at the age of 15 and continued working there while attending Virginia Tech on a football scholarship. Logan’s food story evolved from curiosity, exploration and dedication that had him scheduling classes around the Great Chefs Show long before the Food Network & studying CIA cookbooks in his free time. Compelling choices acted upon reflect the moment a value moves from mere existing to a reality. A conscious choice made in the face of uncertainty had Logan switching from his music major to a major that would allow him a more comfortable schedule to work full time in kitchens, because he realized that his passion for food far outweighed his passion for music. 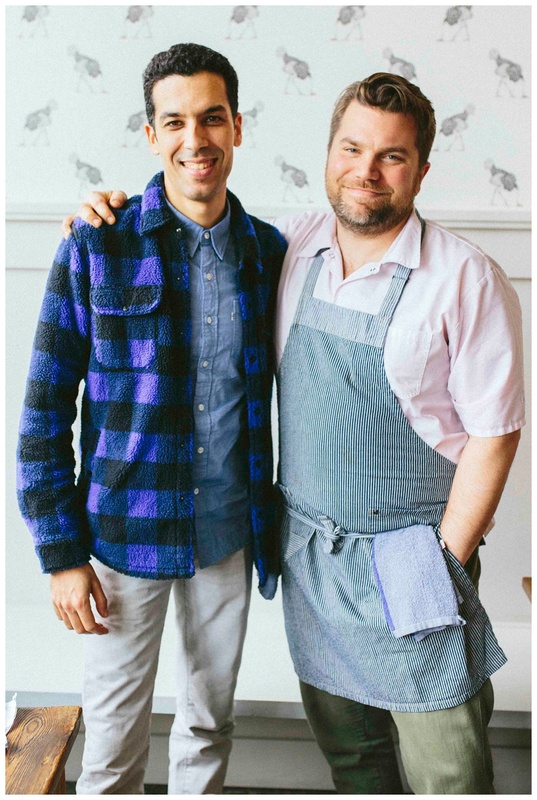 Fortunate to work under chefs he admired along the east coast, then in Orvieto Italy before settling into a chef position at Sitka and Spruce in Seattle. Though we may have missed out on enjoying Logan’s musical explorations, we enjoy his willingness to experiment with food in a way that celebrates the abundant flavor of other cuisines, while mixing with fresh, seasonal, NW ingredients. Today Logan makes Lamb Ragu with Tahini. In a blender (preferably a Vitamix) add your raw garlic cloves, lemon juice and rice wine vinegar. Blend on the high setting until the garlic is finely minced and well incorporated into the juice and vinegar. Leave this mix in the blender. Add the water and blend on high to mix. While the blender is running, slowly add the tahini in an even steady stream, making sure to stop adding tahini to gauge the texture of the sauce. Once you reach the consistency of something similar to thick buttermilk, stop. Add salt to taste. Place your now uber delicious tahini sauce in a container! In a dutch oven (that has a lid) or large stock pot (also requires a lid), place on your stove top and set to the highest setting and add 3/4 cup of olive oil. Once the olive oil starts to smoke add your garlic, onions and ginger. With a wooden spoon move the "mirepoix" around until it gets lightly caramelized. Once caramelized add the the fenugreek seeds, fennel seeds, cinnamon stick & star anise. Toast the spices in the oil with the vegetables until they release their fragrance. Immediately add the red wine, bay leaves and thyme and let reduce by half. Gently place the whole lamb shoulder in the pot and add the stock. Cover the pot with a lid and place in your preheated oven. Let the lamb shoulder cook in the oven until it can be pierced with a fork with no resistance (think pulled pork). Remove the lid from the pan and let cook for 20 more minutes, fully caramelizing the lamb. Pull the pot out of the oven and let sit for 10 minutes. Then remove the lamb and place on a large plate or serving bowl. It's ok if a few spices and seed sticks to it, they're edible and delicious! Strain the braising liquid through a fine mesh strainer into a heat-proof container. Skim the fat from the strained liquid with a ladle and whisk in the yogurt, Berebere, Aleppo chili and salt to taste. Pour your now finished sauce over top of the lamb OR into a bowl for your guests to sauce their lamb however they like. You'll just need plenty of pita (I heard Homer has some good ones…), some pickled onions, raw lettuce and/or vegetables, fresh picked parsley, mint, dill & cilantro AND more Aleppo for heat. 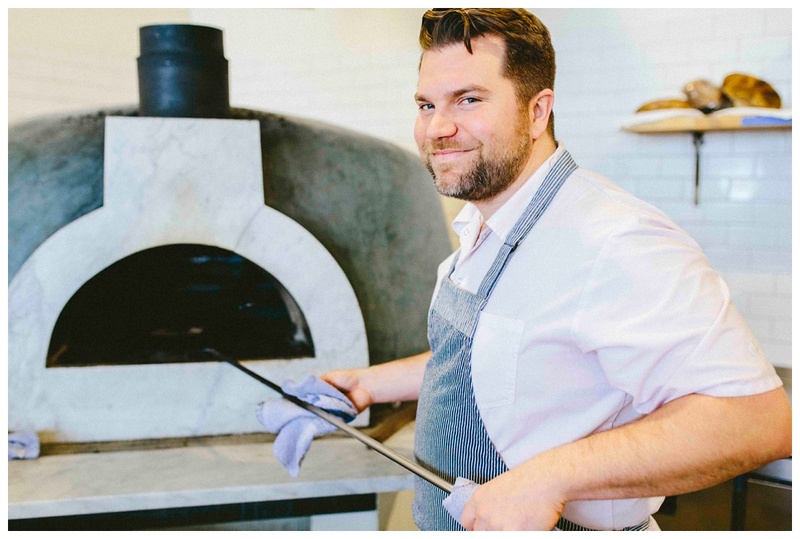 Logan admits that he is not an authority on Middle Eastern and Mediterranean cuisine though he has a strong affinity for the food, and the inspiration that follows. Mostly he loves the way that the dishes encourage sharing when brought to the table, which was how the meal was enjoyed at Homer on this day. When asked what dish customers order most, we’re told the spreads sell more than any other item, especially the Lamb Ragu on Tahini. People break bread at the table with warm pita straight from the oven served with delicious spreads. Sharing good food, in good company, happens without effort, exactly as the Homer experience was intended. Why VJ? “Every spice we use in the restaurant we buy from VJ. As well as the VJ Tahini. Their products are the best. When I was on the east coast, I used to buy from a spice merchant called "The Saffron King" out of NYC. He really sparked my interest for using high quality spices instead of the run of the mill you would get from a purveyor that would also sell you cleaning products. You just know the quality control isn't there. Villa Jerada has pristine quality and not just "luxury" spices but every seed, I know is going to be delicious. So many whys racing through the mind as we sit eating great food on a busy Friday night. Every table full by 6pm, with a line waiting near the door. A bright space with expansive windows dominates the front, great for curious eyes peering in on the drive home. The room acoustics vibrant as conversations from smiling faces flow forth like musical notes. Hues of whites, ocean and midnight blues, earthy yet dreamy, with natural woods to ground us in. The Homer team so welcoming, every member playing their part while they dance in tune with each other. A team that Logan credits with much gratitude for getting Homer up and running. Why the Ostrich walking with its head in the sand and what is it looking for? Gold light shining like the disk of the sun; food perhaps. Why Homer and why on Beacon Hill? Passion implanted on the path remind us that we have something special, a skill that needs practicing, something sweet and colorful that needs to be shared. For Logan, cooking professionally was the first part of his food story, the larger dream was always to open his own restaurant. The moment of realizing that it could be done, came from having the support and help from his wife Sara whose organizational skills and motivation were key in making Homer happen. Ambition materialized brought about by love, so it comes as no surprise to learn that Homer is both an homage to Logan and Sara’s ball loving, snuggle inducing, eat everything in sight kind of pup, as well as, a tribute to the vivid memories of when the two ran a luxury adventure lodge near Homer Alaska that was accessible only by helicopter or float plane. They lived sparsely in a 10'x10' plywood cabin with one outlet and no running water. Simple living, humbled together in their tiny home, would form the foundation and inspiration for opening a neighborhood restaurant in the Beacon Hill area where they live, walk their dog and genuinely desire to be part of the fabric of the community. Homer, an extension of themselves feels like Home. Every meal has a story, and when we break bread and share food, we share community, connecting ourselves to the whole.